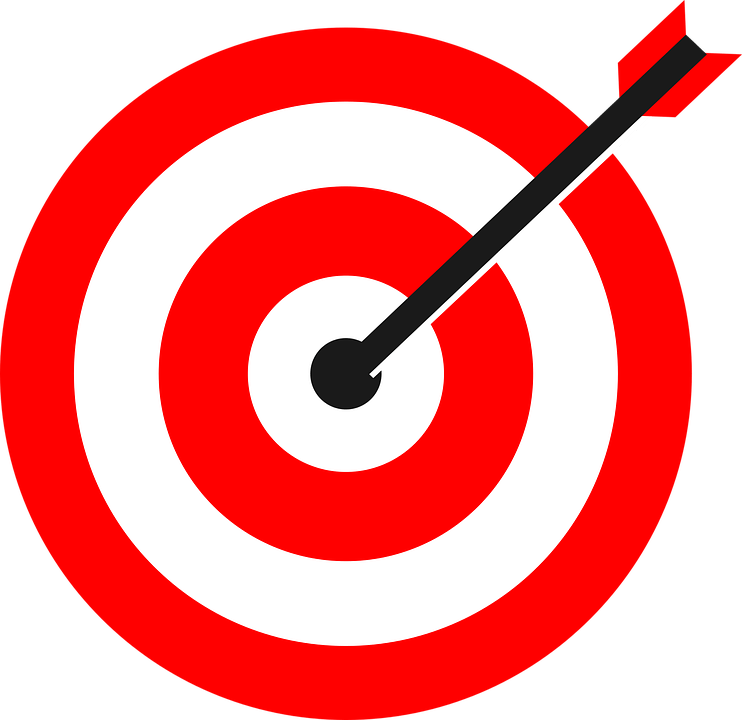 FULL DISCLOSURE: whereas all the targets within these pages are, to one extent or another, zeroed in on due to the danger(s) they present to America and Israel (the west at large, by extension), a smattering hit closer to heart and home than others. In other words, while the thrust of today’s commentary revolves around the knock-on effects from countless policies enacted by Bill De Blasio – NYC’s anti-American, Marxist-driven, and Islam-coddling Mayor – its basis is decidedly non-personal. But the fact remains that a personal element exists too. Intersects. That’s just the way it is. A two-er. Wait and see. EVEN so, above and beyond the personal realm, it is mandatory due diligence to first expose his crimes against America, in so far that whatever shakes out in NYC – the heretofore flagship city of the nation – catapults well beyond its borders. Like it or not. Under the inciting wings of HUSSEIN Obama, who recalls the stepped-up onslaught against law enforcement? Well, where do you think his Marxist comrade stood, in relation to the “War on Cops” in NYC and beyond? Rhetorical. 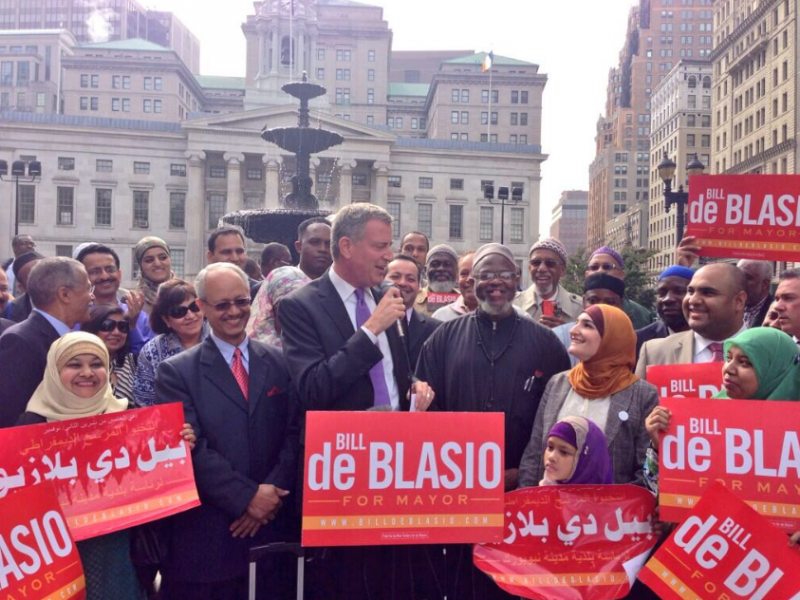 Similarly, as per “Dot Four“ within “Mosques in America: A Dagger To The Nation’s Heart ” (May 3, 2014), guess where De Blasio fit in the picture? Take a peek…. And since Marxist-loving NYC Mayor De Blasio recently castrated the NYPD’s surveillance demographics unit – inside the Muslim community/mosques – let’s just say that his appointed Police Commish was ordered to (effectively) UNDO all of ex Police Commish Raymond Kelly’s “infiltration & penetration”, to the degree in which NYC was kept safe under his tenure. Holy jihad! Now, along these same anti-American lines, it should follow that the very same Mayor is all in, most especially, when it relates to taxpayer-funding (through cultural centers) of the glorification of terror and its twin devil, namely, anti-semitism. Incontestably, the PLO/PA/Fatah are “pets” of Comrade Bill DeBlasio! Let there be NO doubt: the desecration of sacred ground in NYC would never be tolerated, if the likes of former Mayor Giuliani (despite this and that flaw) held the reins. In fact, any building application for such a monstrosity – albeit, couched in condo-speak, under the guise of an Islamic “museum” – would have become DOA within the city’s morass of bureaucratic red-tape. Know this: without inordinately heavy (political) muscle, no one can do an end-run around the process. What does that tell you? Most audaciously, the fact remains that a double crime against patriotic Americans is being committed in NYC; with all “credit” given to revolutionary Marxist, Islamic imbued Mayor Billy boy de Blasio. By the way, his predecessor, Bloomberg, happens to be king of Shariah Law compliant financial instruments! Hmm. And as this investigative journalist already proved at Joe For America (within the linked expose’), the following must serve as part of an overwhelming and overarching indictment – more than enough to nail de Blasio’s head to the wall. Yes, his alliance with the most retrograde forces threatening America – ala co-joining between Islamists and Marxists – is a done deal….. In this regard, NYC’s Islamic takeover is an absolute outgrowth of a highly dangerous anti-American Mayor! But if readers still aren’t convinced, perhaps peering inside the crooked nexus between DeBlasio, NYPD top brass, high-flying businessmen, and prostitutes will tip the scales. Where’s a barf-bag when you need one? For all of his smug moralizing, Mayor Bill de Blasio’s plan to diversify the city’s eight elite high schools would violate the commandment to care for the least of his brothers and sisters. That is, he’d give more seats to low-income black and Hispanic students — at the expense of the low-income Asian-American kids who now predominate at the schools. Exactly: These Asian students aren’t the children of wealth, connection and means; by and large, they’re from poor, immigrant families. The city’s own poverty report says Asians are the poorest demographic group, with 24.1 percent living at or below poverty — vs. 19.5 percent citywide. The poverty rate in Sunset Park, one Asian neighborhood, is 29.1 percent; in another, Flushing, it’s 25.2 percent. Overall, 45 percent of students at the “elite eight” qualify for free lunch….continue reading the damnable truth here…..
AS is said, this is where the rubber meets the road, rather, where the non-personal meets the highly personal – the full disclosure realm. BACK in the day, in the 1970’s, this investigative journalist’s beloved late husband, Frank Kutnicki (may his memory be for a blessing), was a stand-out student at Stuyvesant High School; having graduated with the Bronze Award for exceptional accomplishment! Inestimably, one of the few “jewels in the crown” of NYC education, as well as the country at large – at least, up until now. ALAS, his classmates were mostly Asian too (go, “tiger moms”), and with fellow Jews in the mix. Truth dare be told, within the aforementioned cultures, education is key and core. In reality, they were (still are) the ones who “made the grade”, when it came to the cut-throat admissions test. Make no mistake, it is too damn bad on those who don’t pass the hurdles. Simply put, where is it written that life has to be fair?? It isn’t. Get over it. NOT only that, this family’s patriarch had two huge strikes against him, and poverty was the least of it. With parents who barely survived the Holocaust, even living with a highly traumatized mother and father (and atop it all being dirt poor) was not used as an excuse and obstacle. Without self-pity and complaint, a seat at Stuyvesant was in his (merit-based) grasp! By extrapolation, to have considered Frank even remotely privileged would have been as real as one’s belief in the tooth fairy. You see where this is going….. IF not, the point being: then as now, only one’s G-d given brains (coupled with the drive to succeed….don’t underestimate the value of said contributory factor) will get one into such a high-stakes academic powerhouse, never mind graduating on top of the pack too! Intrinsically, in particular, how many know that Stuyvesant High School has produced Nobel Prize winners, and a lengthy list of others of notable repute? Now you do. BUT despite these verily truths, to the likes of De Blasio and his gang of commissars, none of this matters. What matters is that a dumbed-down “diversified” process ensures that the best high schools in NYC (in due course) take on the same “equalizing” effects of each and every social engineering experiment gone wrong. Read: the disastrous fall-out all across U.S. academia! Ask yourselves: why is it that high-achievers are punished by the fascist left to satisfy mediocrity and worse? EVEN among the heretofore top-tier universities, a race-based, minority-driven, hodge-podge of quotas ala affirmative action produces countless unqualified graduates – that is, if they even manage to graduate. Tellingly, how bad has it gotten that a lone powerhouse remains, notably, the California Institute of Technology, refusing to kow-tow to “diversity.” And this is precisely why Caltech is in a class by itself! BUT what does all this mean? Conclusively, the most efficient way to destroy a productive, high-functioning society, a meritocracy, is through two doors: the familial and the educational. INEXTRICABLY, it is through “door one” that America’s traditional family is being cut off at its roots – all “credit” to social engineers who hail from the fascist-left and environs. AS per “door two”, the facts within “A” (Used To Be) For Apple, Now It Is For Activist are more than bullet proof re the charges against (mis)education in America. MOST resolutely, it must be understood: under a Marxist/socialist agenda there is no place for individual success. Period. Concomitantly, rewards for high achievement are non-existent. SO, whereby said ruling commandants live enriched, success-driven lives, the masses must be “equalized.” Effectively, the question becomes: since control is at the heart of the aforementioned, isn’t it easier to subdue an across-the-board non-success-driven populace, as opposed to one which strives for excellence?